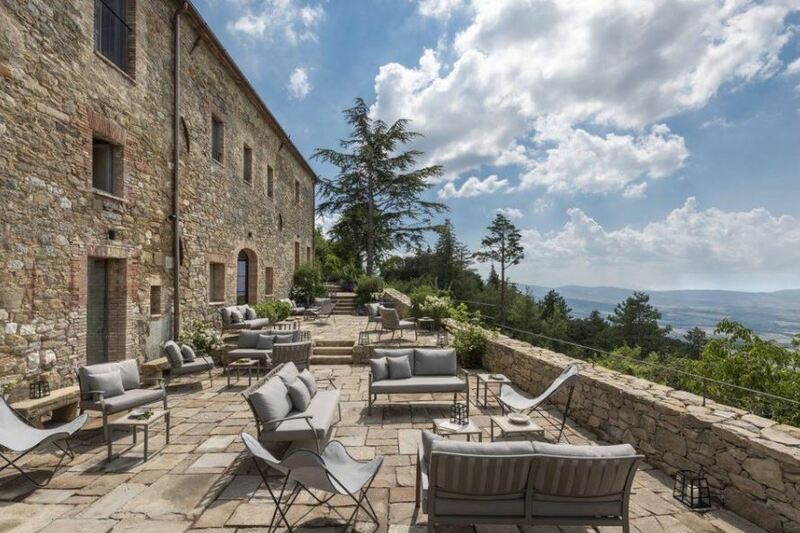 “A retreat from the ordinary” is the tag line at this remote Tuscan hideout, and it could not be more apt. It has panoramic views of the Val d’Orcia, a UNESCO World Heritage Site known for its scenic splendor. The six-year-old hotel is not confined within a single building but instead is dispersed throughout an idyllic, medieval village, with its 18 rooms and suites tucked in among authentic and fastidiously maintained properties. The spa, with its not-notch therapists, Italian beauty products and multiple thermal pools is a dreamy spot to do nothing.